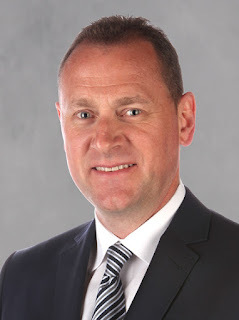 As I like to do from time to time, here is a quick round-up of various thoughts and observations on the current goings-on with the Calgary Flames organization. I call this content feature Eight From 80 Feet. Monday's 6-4 loss to Anaheim began a 15-day stretch in which the Flames play every other day. No stretches of two days off in there and no stretches of back-to-back games. One on, one off, repeat. Although maybe his performance on Monday -- four goals on 17 shots -- changes things, but coach Bob Hartley hinted on Sunday that the goal crease could belong to the veteran Jonas Hiller for a long time because of the way the schedule sets up with the next set of back-to-back games not coming until after the trade deadline. Assuming Karri Ramo is out long term, which most seem to expect at this point despite no word officially, what does this mean for back-up Joni Ortio, who came on in relief Monday and gave up two goals on nine shots? Will it be like October all over again, only this time he'll be in uniform in Calgary while he's not playing, instead of in the press box? That seems to be the plan. Further, this makes you wonder if the recall of Ortio to play a mostly spectator role actually means he's slid behind Kevin Poulin on the team's depth chart? Think about it. Ortio's AHL numbers (.893 save percentage) pale in comparison to Poulin and now he'll be sitting around in Calgary while Poulin plays every day. 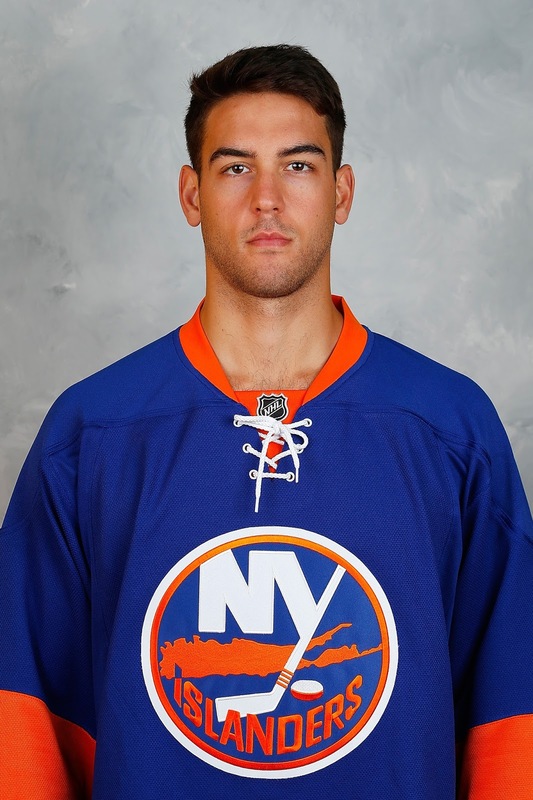 Plus, this way the Flames don't risk losing the one-time Islanders prospect on waivers if/when Ramo returns. The 2008 fifth round pick by New York was already claimed once on waivers this season by Tampa Bay. In two games since becoming Stockton's de facto No. 1, Poulin has stopped 60 of 61 shots to improve his save percentage to .923 in 14 games, which would rank him sixth in the league if he had enough playing time to qualify. Both Ortio and Poulin are in similar situations of being RFAs at the end of the season. 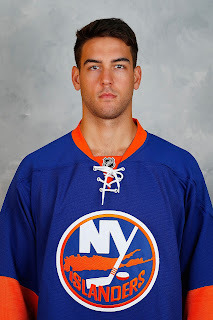 Is there a chance, the team keeps Poulin -- just a year older -- over Ortio this summer. Considering how things have shaken down with Ortio this season, I wouldn't rule it out. Nineteen-year-old prospect Andrew Mangiapane continued his terrific season with the OHL's Barrie Colts on Saturday with his fifth hat-trick -- and third in a span of seven games. Then he added two more goals on Monday. He's got 21 goals in his last 13 games and has been averaging over two-points per game since returning from an eight-game suspension in December. Production-wise, Mangiapane is not all that far behind two much higher-profile picks from the 2015 NHL Draft at which time the Flames grabbed Mangiapane in the sixth round. 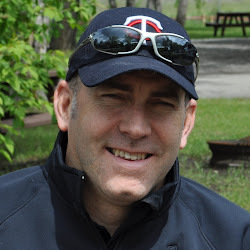 Prior to doing it three times in a row now, the Flames had given up three power play goals in a game only twice in a span of over four years (going back to December 2011). Before this three-game skid, Calgary had surrendered only six PP goals in the previous 22 games. On the season, the Flames rank dead last at 73.4 percent. On home ice, they've been even worse with opponents 20-for-68 for a success rate of 29.4 percent. Yikes. 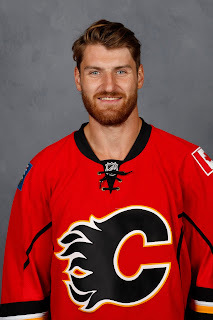 In examining which players were on the ice for the nine power play goals surrendered -- two of which coming at 5-on-3 -- two players have had the dubious distinction of being on the ice for eight of them and that was Flames captain Mark Giordano and his D partner TJ Brodie. Obviously, being on the ice when two-men short is a killer but for what it's worth over the last three games, Giordano's eight PP goals against came in a total of 10:37 of shorthanded ice time. In comparison, Kris Russell was on for no PP goals against in 7:58 of shorthanded ice time in the games against the Sharks and Coyotes (he was out of the line-up with a lower body injury on Monday). That trend reflects how it's gone on the season too. Given those totals, one wonders about the role blocked shots play for Russell. He gets his fair share of criticism for the volume of blocked shots overall (leads NHL with 3.4 blocked shots per game) but when they come specifically in the game situation of 5-on-4, often denying dangerous scoring opportunities, his willingness as well as ability to get in front of shots seems to be an under-appreciated attribute. 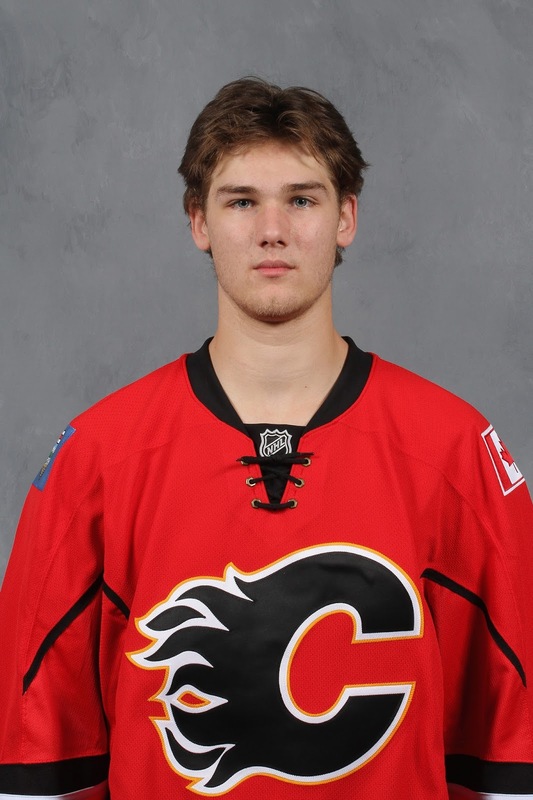 There's been a growing discussion among fans lately about whether there's a risk that Flames 2012 first round pick Mark Jankowski could bolt from the organization this summer without signing, much like what happened with Kevin Hayes a year ago with Chicago. Finishing his fourth and final season at Providence College, Jankowski would become a free agent if he does not sign with Calgary by August 15, 2016. However, I can't emphasize enough that I cannot see this happening at all. I liken his situation very much to Bill Arnold when he went back to Boston College for his final season and was never considered a flight risk. I've talked with Jankowski many times over the last three years and he's always come across as genuinely appreciative of his treatment by the Flames organization. Examples he's mentioned include Calgary taking a chance and drafting him as high as they did and when Brad ("Mr. Treliving" as he refers to him) went down to visit him personally after taking over as GM to let him know he was very much still in the organization's plans. Entry level contracts are what they are so it's not like he could go out and chase big money in a bidding war. There is a maximum to what he can make on his first NHL deal. If he's looking for an organization where there is opportunity at centre, the Flames are still that given Matt Stajan won't be around forever and given Sam Bennett is currently operating on the wing. Meanwhile, Jankowski's best season offensively continued on the weekend collecting his 100th career point against Connecticut. He's got 30 points (13 goals, 17 assists) in 30 games this season, a nice jump from his 0.70 points-per-game last season. As for what's next, Providence is ranked high enough in the country that a spot in the 16-team NCAA tournament is pretty much assured but in a single game elimination format, if they lose either their first or second regional game, Jankowski would be done by the March 25-27 weekend. If that occurs, the Flames would still have seven games left on the schedule and I can see Jankowski immediately signing a contract that sees him burn the first year (like Ben Hankowski, Kenny Agostino) and get in a handful of games with Calgary as the CBA stipulates that signing a deal at that point means he has to remain with the NHL team for the remainder of the season. On Monday, Jakub Nakladal drew into the line-up thanks to the late scratch of Russell. In 21 days with the team over two separate call-ups, the 28-year-old Czech has only played two games while being sat out nine times. While it's one of the more bizarre examples of player usage, at least he's being paid NHL money for mostly eating the Saddledome's ECHL-calibre press box popcorn. On a two-way deal that sees Nakladal earn an annual salary of $817,500 in the NHL compared to $70,000 in the AHL, in the 13 days he's been with the Flames this latest recall, he's made $57,131 compared to $4,892. That's in American dollars too. While it won't actually end up being the $52,000-plus difference given he -- like all NHL players -- has to pay into Escrow while on the NHL roster, it's still a nice bump in pay. That said, he has to be getting impatient with his limited usage. After four-and-a-half seasons in the Czech Republic, two-and-a-half years in the KHL and last year in Finland, Nakladal didn't come over to North America for the first time after eight years of pro hockey in Europe for this. Will Nakladal get another shot on Wednesday night when the Wild visit the Saddledome? Considering he is an unrestricted free agent on July 1 and the Flames playoffs hopes are fading fast, surely the time for an audition is now. In less than two weeks with the Stockton Heat, Mason Raymond already has more points than he had all season with the Flames. With an assist on Sunday, Raymond has six points (2 goals, 4 assists) in five games with the Heat. This coming after he had just five points (4 goals, 1 assist) with Calgary before being assigned to the minors on Feb. 3. Raymond is a top-six style of player without a top-six role to play in Calgary. Playing in the minors for the first time in eight years, he's back being used how he has to be used to be effective and to his credit, he has taken advantage of it. I'm not sure what's next for Raymond, who still has another year left on his contract. Whether he can get back to being an impact NHL player remains to be seen and whether he'll get the opportunity to do that in Calgary while Hartley is coach, I'm skeptical. But for him, the best chance at a happy ending is to go down and put up points to show that you've still got it so you tip your hat to him for doing that. Monday's clash with Anaheim is the first of seven games remaining for the Flames prior to the NHL trade deadline of February 29. Interestingly, Calgary will once again be in Philadelphia for the deadline. You will remember Dennis Wideman's infamous cell phone prank a year ago. I'll have much more on this topic in the next couple weeks but for now, as a refresher, here are the six players on the Flames NHL rosters that are pending unrestricted free agents. There are also plenty of pending restricted free agents in the organization too. While these typically are not the names in focus at a trade deadline, they are players that are in need of new contracts and if they do not fit into the team's future plans, they could be names that come up in trade possibilities as sweeteners in multi-player deals, etc. Calgary is currently at 47 contracts. They are allowed as many as 50. In my current Franchise Hockey Manager 2 game, I'm running an expansion team, and I picked up Jankowski to center my second line; he had a respectable (for an expansion team) 8g 18a in his rookie season; he centered a variety of wingers, none of whom produced much despite names like David Perron and Marko Dano and Joe Colborne. This season (2018-2019) he's got Chris Kreider on the wing, which is helping. 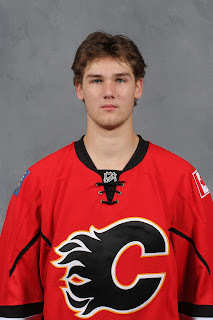 Mark Jankowski. Future star of Las Vegas.